Farmer and sons walking in the face of a dust storm. 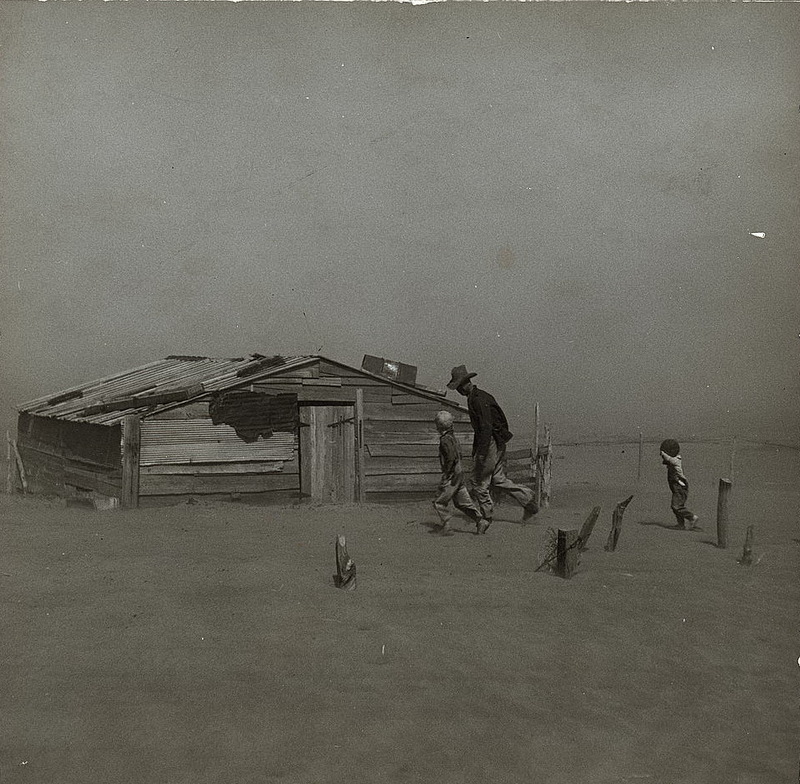 Cimarron County, OK. April, 1936. Photo by Arthur Rothstein.